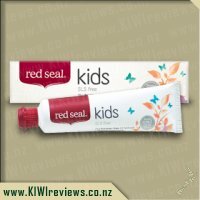 Red Seal Natural Kids toothpaste is a natural toothpaste that&apos;s safer for young children to swallow when they brush. 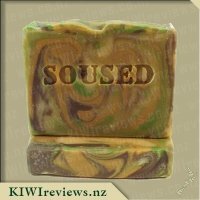 Free from sodium lauryl sulphate, fluoride, parabens, and other harsh chemicals, it is naturally flavoured and sweetened with a fresh, peach and banana &apos;bubblegum&apos; flavour. • No added fluoride. There is conflicting evidence on the benefits of fluoride. Excess fluoride may cause chalky white patches on the teeth giving a mottled appearance. This condition is irreversible. 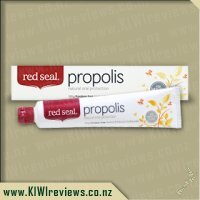 Red Seal provides you with a range of non-fluoridated toothpastes to meet your specific needs. • Suitable for young children. • No sodium lauryl sulphate (SLS). Some people find SLS can increase problems with mouth ulcers and gum sensitivity. 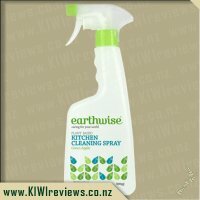 • Contains natural herb extracts and oils. • Fights plaque and decay. • No tricoslan, peroxide, potassium nitrates, or strontium chloride. I like to buy cheap but with this toothpaste and the fact I have a 3.5 year old who is having major teeth issues, I am more than happy to pay the little bit more for a natural, great tasting product. Many of the other toothpastes cause more pain for her and leave her screaming and dreading brushing her teeth. We have tried sparkly ones, well known character brands and flavoured ones with no success. While red seal is just white, she looks forward to brushing her teeth and the taste is really good. I&apos;ll let you in on a secret, I use this one for me too ;) To get her to let me brush her teeth, she has to help brush mine so I find doing teeth quite a long process and knowing there isn&apos;t all this added junk, puts my mind at rest with the amount of time we spend doing this. Miss 3.5 is due for surgery in a month and brushing her teeth helps with the pain levels meaning that I don&apos;t have to keep giving her pamol. When this tube is done, we will be buying more red seal tooth paste and I would like to try the others they have. One question I do have, how long should this last? 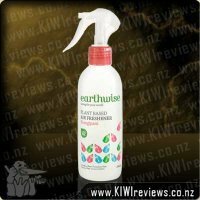 When one of your children has gone through a phase of eating toothpaste right out of the tube and another way doesn&apos;t understand to spit the toothpaste out, nor is 100% capable of spitting it all out or rinsing out her mouth, then this was really interesting to me and I was keen to give it a go. 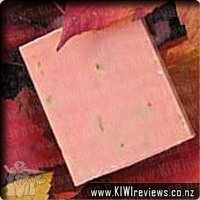 I gave it a try first, just to see what it would be like and I liked that it wasn&apos;t an overly sweet tasting paste, this made me feel a bit more secure that one of my kids wouldn&apos;t go back into her phase and gobble it down. When my six year old tried it I got no real reaction from him at all, he wasn&apos;t too concerned about the taste at all. My five year old put her tooth brush in her mouth and went "mmmmmm!". My youngest, who has issues with spitting it out of her mouth, really liked it, she is already eager to brush her teeth and this adds to that. My favourite part is that I don&apos;t need to be too concerned if my youngest swallows some of the toothpaste (she only gets s tin bit to start with) as it all natural and therefore I fell more secure about it. The kids really enjoyed it, and I think I may buy it again. My daughter is currently obsessed with brushing her teeth! I&apos;ve actually had to take the toothpaste away and hide it in between brushing times to stop her using up the whole tube in one week. My son is only one so it&apos;s still a bit of a novelty to him too which is good and I hope the fascination continues. 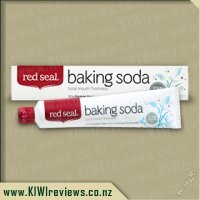 I&apos;ve been buying kids toothpaste for my daughter for the last 3 years and I&apos;ve found that mostly they are very strong, sweet, fruity type of smells which make me wonder how good they actually are for her but this Red Seal toothpaste didn&apos;t have any type of strong smell at all which I really liked. I tried a bit and thought that it mildly tasted like bubblegum but nothing compared to what her toothpastes usually taste like. My son didn&apos;t mind (or notice probably) the change of toothpaste but my daughter got all upset that it didn&apos;t have Dora the Explorer on the tube like her normal toothpaste. After she got over that and actually tried the toothpaste she didn&apos;t mind it at all and said it was nice but she wanted the Dora one next time... I&apos;m pretty sure if the Red Seal tube had a character picture on it then my daughter would have loved it but as far as the taste and smell goes I very much prefer it over the normal stuff I buy. It has always concerned me when my girls brush there teeth that they have a tendency to swallow instead of spitting. I know swallowing Fluoride toothpaste is not recommended so when I read about this product I jumped at the opportunity to have my girls try something that seems so much better than what is on the market these days. For the morning brushing both girls are allowed to do there own and then after dinner either my husband or myself help them brush there teeth. When I pulled this out they were both curious. My first thought was the tube is smaller than the variety we usually buy, but looking at the price it makes up for it. My youngest was so funny the first time, she poked her tongue out to it and tasted it and said &apos;seems ok&apos; then put in mouth and said &apos;oh this is fantastic&apos;. But that night with her daddy she said &apos;I not love this I want the other one&apos; but then next morning she was all about this again. She has said &apos;its yummy and likes the taste&apos;. I am finding her breath to be minty afterwards and her teeth appear to be clean. My eldest was a different story. She put some on her tongue and spat it out and said &apos;yuck&apos; and refused to try. It took a couple of days of persuading and she reluctantly tried, says its &apos;ok but definitly not her favourite&apos; but says her teeth are feeling clean. 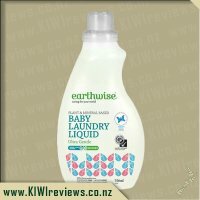 I tried a bit and personally am not a huge fan, its usable and find use less then the other varieties, but I agree with my daughter its just ok. Maybe because I have had years of heaps of flavour but although somewhat minty it was still rather bland. I like the that it does not have added fluoride and has no harsh chemicals, compared to other toothpastes on the market. I think we might buy in the future and also buy the other variety and maybe use one for night and one for morning - just so I feel like I am being a good mum. The taste is growing on my eldest so who knows they might both love it after a while. My boys always make me smell their breath after brushing and I find that most have a minty smell or bubble gum as it has to appeal to kids but this one didn&apos;t have a strong smell. I used some to try so I can also comment on the taste and how effective I found it as my boys are 4 and 6 and one said he liked it and could mum please buy more and the other said it was "yuck tasting on my tongue but nice on my teeth" so a bit of a mixed review from the boys, one thumbs up and one thumbs down. I found that the taste wasn&apos;t too bad, I couldn&apos;t taste any fruity flavours or bubble gum as the kids said that it had a taste of both. I would buy this again as it is natural and cleans well (my teeth did feel clean but not as clean as with the baking soda tooth paste) and if it gets my boys teeth clean a bit more often then I&apos;m all for it. I liked the design on the tube but the boys both said it would have been cool if it had spiderman or a superhero on the tube but that is very minor, all I worry about is that it cleans and is not harmful for the kids. My three children have always enjoyed brushing their teeth - well, Master 16 months just does it to chew on the brush! - and as both my husband and I use the red seal toothpaste, we were very excited to hear about the children&apos;s version - so that the kids could continue their love of brushing and be just like us. Normally they are not very particular about the brand of toothpaste - and are willing to give new ones a try. In the past my favourite have been the more natural, no added SLS, colours, etc ones, and this is just what I favour when choosing. I introduced them to the new toothpaste and they loved that it has the red top like Mummy and Daddy&apos;s, and said it must be for kids because it had "cute pictures and butterflies, and adults don&apos;t need those" - Miss 5.5 wanted to take it to school for show and tell - so safe to say she liked it. The cap is easy to open by themselves - could be a good or bad thing - for us it is a good thing as Miss 5.5 can be independent and put toothpaste on hers and her siblings brushes. Like all toothpaste, as long as you teach the kiddies how hard to squeeze, the right amount of paste will come out. On to the brushing - and both Miss nearly 3 and Miss 5.5 said that is was yummy, and foamy, and they liked it as it was not too strongly (their word - they mean the flavour - as usually we have minty). I thought it tasted a little bit like bubblegum, but not hugely strong, just pleasant. My older children are still learning the art of spitting out after brushing, and do tend to swallow a bit (ie most!) and so knowing there are no added chemicals / flouride / colouring etc is a plus for me. My girls both said they liked how their teeth felt (clean) though I am not entirely sure they knew what I was asking, as I have never asked that sort of question before. My daughters (4.5 and 6 years old) are very fussy when it comes to toothpaste. Most of the ones we have tried have too strong a flavour for them. They were both very keen to try a bubble gum one (although they have had bubble gum). Both girls loved it and Miss Six changed from being a reluctant brusher to one that was requesting lolly toothpaste every time. When their father heard the change in attitude he offered to buy some more once it was finished. There were two things that made this toothpaste very different from any of the other kid&apos;s toothpastes. Firstly it was white there were no added colouring that other brands think kids have to have. The other thing was that it wasn&apos;t covered in cartoon characters in fact the packaging was very similar to the Red Seal toothpastes. Although bubble gum is not a flavour that appeals to me I decided that I needed to try this toothpaste to see how it felt on my teeth. The flavour wasn&apos;t too strong and my teeth felt clean afterwards. I also compared the ingredients in this to that of another toothpaste we had in the bathroom. I had never heard of most of the ingredients in the other toothpaste but the Red Seal one had natural ingredients that I felt much better about putting in my child&apos;s mouth (especially given that neither are good at spitting out their toothpaste). 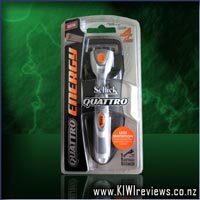 Thanks KIWIreviews and Red Seal for introducing my family to this great product. It has so much stress with toothbrushing and hopefully healthy mouths it will become a regular product in our shopping trolley. My master two is not fussy at all when it comes to toothpaste even strong mint toothpaste he laps it all up, he loves brushing his teeth so often the toothpaste has to be hidden to avoid over use. Makes a nice change to my 12 year old who has to have mild mint toothpaste after having only used macleans milk teeth toothpaste for the first 8 odd years of her life. 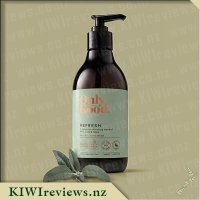 I was really keen to give this a go being that it uses natural ingredients and you do often worry about the chemicals in this type of product. My son is still learning the art of spitting when brushing his teeth so a lot of toothpaste does end up getting swallowed so I found this appealing in that he is not swallowing a whole lot of chemicals when the odd bit does go down. I am not against fluoride toothpaste in fact I generally try to find the toothpaste with the highest fluoride content to try and prevent tooth decay and strengthen enamel as I have always had bad teeth and want my children to have better oral health any way. I can however see how this would appeal to some parents. So when I pulled out the toothpaste of course Master Two was dead keen for some toothbrushing he took the tube and squirted some out, eagerly brushing his teeth. He soon asked for more toothpaste when the first lot was used up so there was no dislike to the taste in fact I think he loved the bubblegum flavour. I wasn&apos;t sure it tasted like bubblegum but it did have a sweet sort of taste to it. My Miss 12 also decided she wanted to try this out and has decided her and her brother will share it as she much prefers this to the mild mint toothpaste we also received to review. Wouldn&apos;t be an expensive option to keep up with as it is cheaper than a lot of other toothpaste varities so it is a good price and it cleans the teeth as effectively as other toothpaste too your teeth and mouth feel refreshed after brushing. My little misses are about as fussy as they can get with toothpaste. We have just about every brand available and they will regularly up and declare they don&apos;t like whatever they are currently using and have to go through a period of readjustment to a new tube. Miss Six however declared her interest in trying this tube of Red Seal Natural Kids toothpaste when she saw that it was bubble gum flavoured. She likes this toothpaste and has happily used it for the past week or two with no complaint. Miss Seven and Miss Three however have not liked it at all. Miss Three promptly spat it out and started crying when I tried to persist with using it. She has refused to use it since and says it is too spicy. Miss Seven didn&apos;t like the taste but couldn&apos;t pinpoint exactly what it was that she didn&apos;t like. 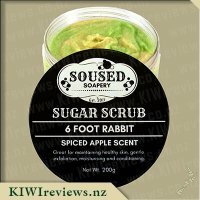 To be honest my girls are so fussy that I see it as no fault of the toothpaste that they didn&apos;t like it and am happy to have found a brand that Miss Six likes to add to her options for teeth brushing. I am happy with the price and like that it is natural and free of any nasty&apos;s.
If you want a toothpaste that actually lists its ingredients this is a good one to try. Whilst I prefer fluoridated toothpaste I can see why this might appeal to anyone not wanting fluoride . Definitely worth trying to see if your own littlies like this. My children have a particular toothpaste they have every time and when we go to the supermarket no other toothpaste will do. It&apos;s always mild mint, sparkly Dora branded toothpaste. So I wasn&apos;t sure how this would be welcomed. But I was interested to see whether it would be accepted. My first test, was possibly the easier of the two. Not because she is the younger of the two, but because her palette seems to be far more accepting of a wide spectrum of flavours. She will happily eat things that are bitter or spicy or far from bland, compared to her sister. So I was not too surprised, when Miss 2 took to this paste like a duck to water. She danced for more, though of course I didn&apos;t let her. I think she would have brushed her teeth all night if I had let her. The next day she came skipping out of the bathroom with the paste in one hand and her toothbrush in another. She asked to brush her teeth. And every day this week, whenever she has had the desire to brush, she has done the same. So it is safe to say that she thinks it is a winner. Miss 7 was a different matter. I got her to try it, but she described the flavour as too spicy for her. I&apos;m not sure what the issue was, as it is relatively mild. But I do know she is not a big fan of bubblegum flavour. So that might have been it. I have not managed to get her to try it again. So Miss 2 has the whole tube to herself. Chemical-wise, if you are the sort of parent who worries about the amount of chemicals in our children&apos;s food and dental care products, then this one will be for you. The price is not at all bad compared to other Children&apos;s toothpaste. This means that if you are making a conscious choice about the chemical factor, price isn&apos;t going to trip you up.